The birth of a baby with three parents instigates a new controversy between scientific innovation and religious morality. Early in 2016, a baby boy was born in New York with three parents thanks to the advancement of molecular science. The couple, from Jordan, now raises their first healthy child after the unfortunate deaths of their first two babies, passing away at the tender ages of 6 months and 8 months. Thinking they would not be able to bear children due to the mother’s mitochondrial disease, they found hope with the experimental genetic treatments performed by Dr. John Zhang. One in five thousand people suffer from the fatal mitochondrial disease, which destabilizes the body’s cell functioning and in severe cases leads to death. Mitochondria are essentially the cell’s energy powerhouse. 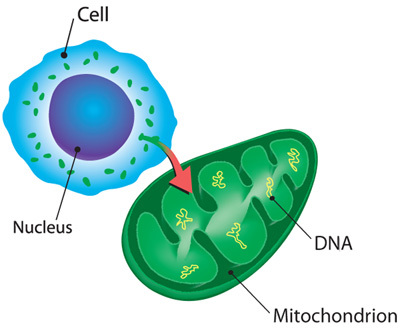 Interestingly enough, we inherit mitochondria only from our mother. Without healthy mitochondrial DNA, our organs will not develop fully. For the Jordan couple, one third of the mother’s mitochondria are unhealthy. Symptoms of mitochondrial disease include blindness, deafness, dementia, stroke, organ failure, or sometimes death. There is no cure for mitochondrial DNA mutations. For women with mitochondrial disease there are only a few safe options in regards to childbearing. Families have the choice to not bear children, adopt, receive donor eggs from another woman, perform prenatal diagnosis, or forgo preimplantation genetic diagnosis. However for a small percentage of those affected by the disease, prenatal and preimplantation genetic diagnosis are not appropriate, and thus their children have high risk of premature death. For these women modern scientific advancement explores two new treatments for mitochondrial replacement: maternal spindle transfer and pronuclear transfer. The idea behind the treatments is to substitute faulty mitochondrial DNA from the intending mother with a healthy donor’s DNA. Since our inherited traits and phenotypes are determined through the chromosomal DNA, the child will develop healthily as his mother and father’s offspring but with a donor’s mitochondrial strand. Both treatment methods are in experimental stages. The Jordan family chose to perform a pronuclear transfer. This entails the fertilization of both the mother’s egg as well as the donor’s egg. Once the eggs become embryos, the mother’s pronucleus is removed and replaced in in the healthy donor’s embryo. The reconstructed embryo is implanted in the intending mother to grow into a healthy baby with the mother’s chromosomal DNA and the healthy mitochondria from the donor. 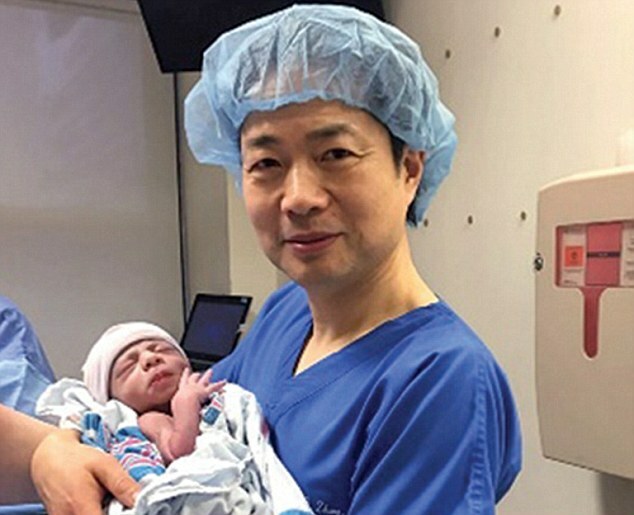 The fertility specialist, Dr. John Zhang, medical director of the New Hope Fertility Center, performed the procedure in a New Hope office in Mexico. Despite decades of research, currently the U.S. Food and Drug Administration (FDA) blocks experimental treatment of mitochondrial DNA transfer, thus Dr. Zhang and the parents went to Mexico for the mitochondrial replacement. Over 20 years ago, Dr. James Grifo, a gynecologist, studied mitochondrial swapping in mice. Successful mitochondria transfers have also been performed in monkeys. In 2002, further research was halted due to the controversial nature of discarding the donor’s healthy embryo; even if in the fertilized embryo is in the first few hours of growth. Nevertheless, the Jordan couple’s miracle brings hope for many who suffer mitochondrial disease. Almost a year after the birth of the three-parent boy, he has healthy mitochondria and is growing into a spirited toddler. Kolata, G. (2017). Birth of Baby With Three Parents’ DNA Marks Success for Banned Technique. [online] Nytimes.com. Available at: https://www.nytimes.com/2016/09/28/health/birth-of-3-parent-baby-a-success-for-controversial-procedure.html?_r=0 [Accessed 27 Feb. 2017]. Mito Action, (2017). About Mitochondrial Disease – Mito FAQ | Mitochondrial Disease Action Committee – MitoAction. [online] Mitoaction.org. Available at: http://www.mitoaction.org/mito-faq [Accessed 27 Feb. 2017]. Science | AAAS. (2017). Unanswered questions surround baby born to three parents. [online] Available at: http://www.sciencemag.org/news/2016/09/unanswered-questions-surround-baby-born-three-parents [Accessed 27 Feb. 2017].